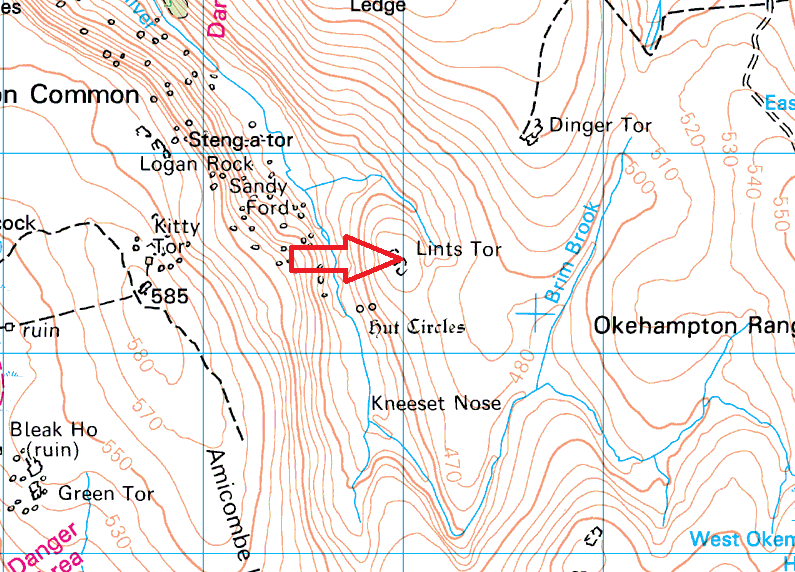 Lints Tor is properly tucked away. 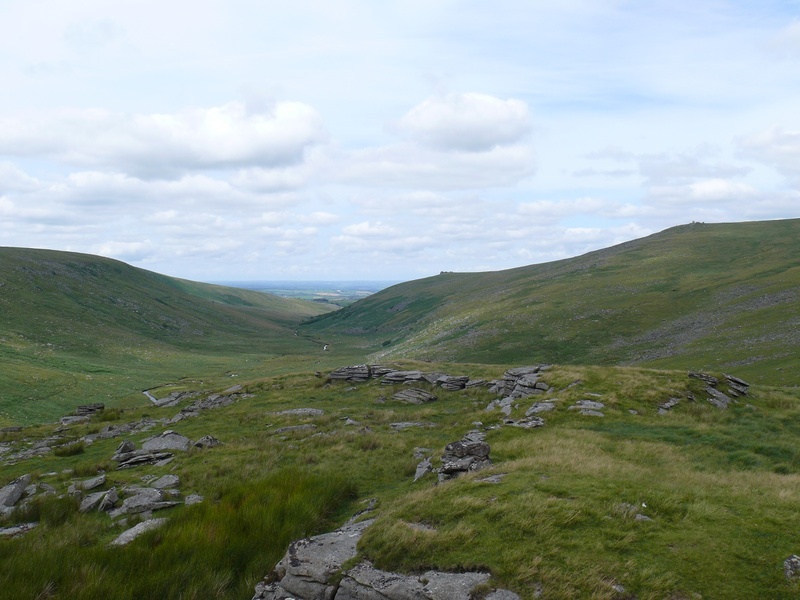 You can stand on High Willhays, with Lints Tor less than a mile away, and not see it. 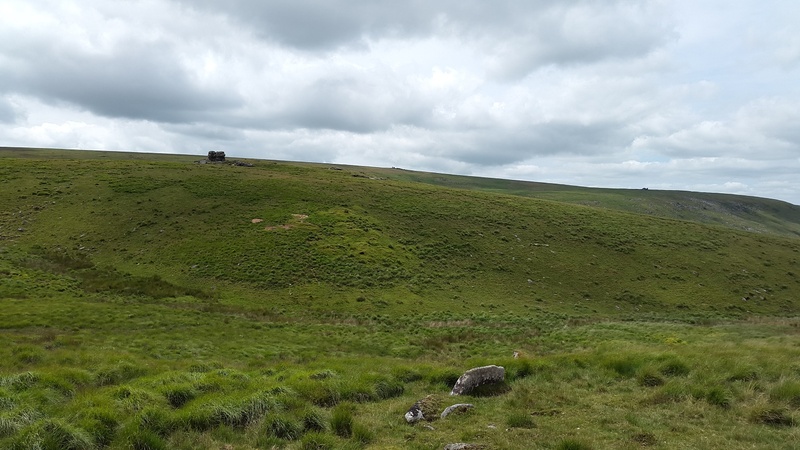 However it is not a small tor, but it looks like it, with steep slopes all around rising to higher ground. It is also tough to get to, lying a fair distance from any parking spots. 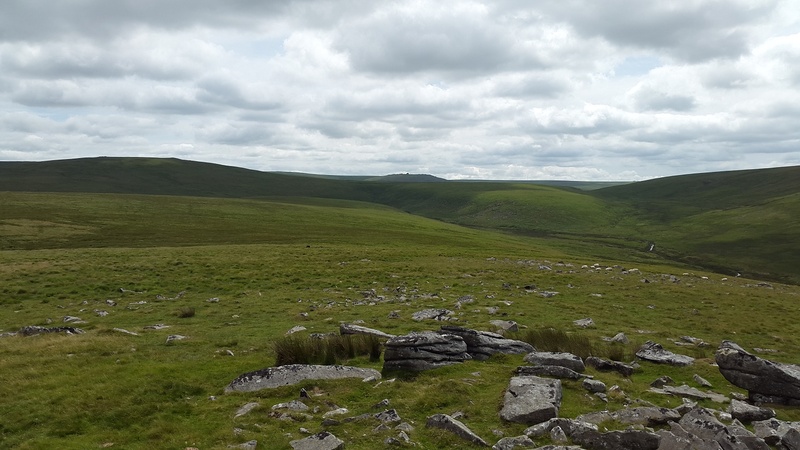 The best approach is either from High Willhays or along the West Okement river after parking at Meldon Reservoir. Once there, the steep slopes to the summit, ensure you are puffing a little on arrival!! 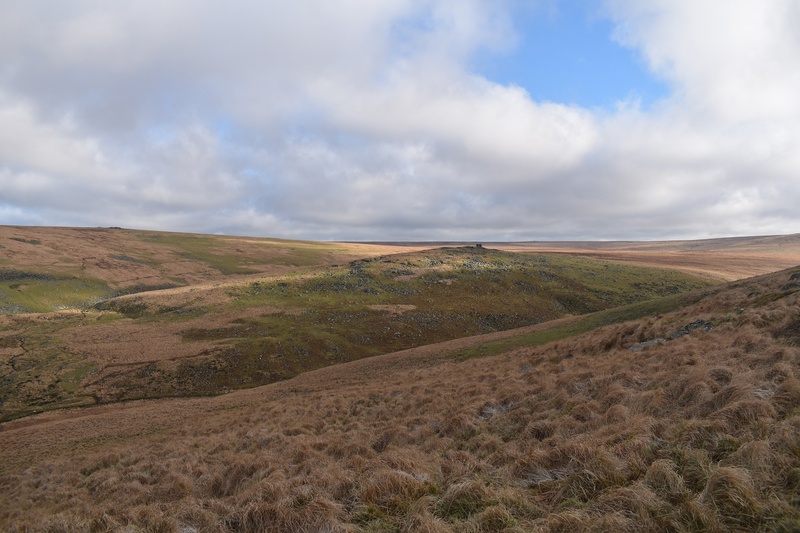 Great views though are to be had down the West Okement valley from this tor, although it does lie within the Okehampton firing range, restricting access at certain times.